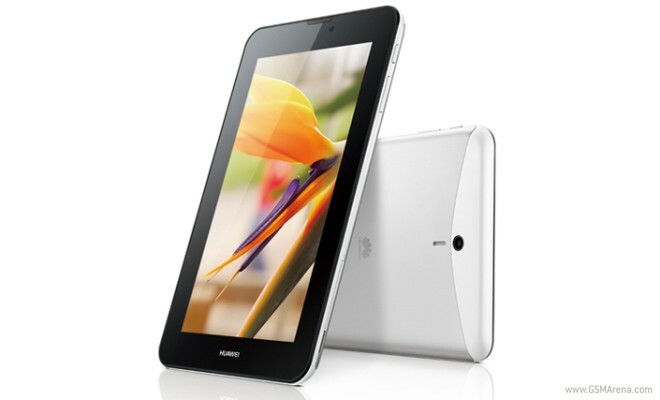 Huawei has announced another addition to its MediaPad tablet family, the MediaPad 7 Vogue. The Vogue will be running on the same in-house Huawei K3V2 chipset as the recently-announced Huawei Ascend P6 flagship. It, too, will be of the quad-core variety, except the one on the MediaPad 7 Vogue will be clocked at 1.2 GHz. Other than that, the MediaPad 7 Vogue is virtually identical to its other 7-inch brethren from Huawei, the MediaPad 7 Lite. It sports the same 600 x 1024 display resolution, 8GB of internal memory, 1GB of RAM, and 3 MP camera alongside VGA front-facer. You’ll even find the same 4100 mAh Lithium Polymer battery inside, which Huawei claims to support playback of four HD movies back-to-back, or up to 20 hours of continuous calling thanks to its proprietary power-saving technology. The MediaPad 7 Vogue will be available in the Chinese market this month, with other markets to follow.